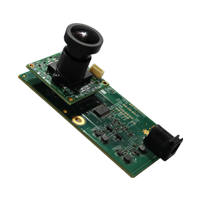 We are extremely delighted to announce the launch of e-CAM20_CUTX2 - 2 MP High Dynamic Range (HDR) camera board for NVIDIA jetson TX1/TX2. It contains e-CAM20_CU0230_MOD, based on AR0230AT image sensor. It has ability to stream seamlessly at a wide temperature range (-40 to 105°C) with ultra-lowlight performance.